"I would especially like to emphasize that these airstrikes were launched at the most uncomfortable and most unsuitable moment — when the normalization of the situation in Syria has already become an irreversible phenomenon and when [we] were standing two days ahead of the completion of the operation in Eastern Ghouta," Russian Defense Minister Sergei Shoigu said during his meeting with the UN Secretary General's Special Envoy for Syria Staffan de Mistura. Shoigu stressed that the missile strikes did not bring stability to Syria and did not bring "what could become a rather serious stimulus in promoting the Syrian settlement." He singled out an array of very fruitful actions that have been undertaken to bring peace to Syria. "Much has been done in the past," Shoigu stressed, referring to joint work in Sochi on the creation and formation of a constitutional commission, as well as a meeting in Astana, which also established "a thorough political dialogue between all those who are currently confronting each other in Syria." "Except, of course, the terrorists from Daesh* and al-Nusra Front*," Shoigu added. He expressed confidence that during the current meeting, it will be possible to discuss the main directions for joint further steps to return to the Sochi and Astana formats. "At the same time, the focus will be put on the fact that all this work will be concentrated in Geneva — as we agreed and as it was decided during the the Syrian National Dialogue Congress in Sochi," Shoigu said. On April 14, the US, Britain and France launched airstrikes on a spate of targets in Syria in response to the April 7 alleged chemical attack in the Damascus suburb of Douma. The US warships Porter, Cook, and Higgins as well as French and UK Mirage and Tornado fighters fired over 100 cruise and air-to-surface missiles at Syria's civilian and military facilities. According to the Russian Defense Ministry, a total of 71 missiles out of 103 were intercepted by Syria's air defenses while approaching their targets; Russian air defense units did not take part in the interception as no missile entered their areas of responsibility. 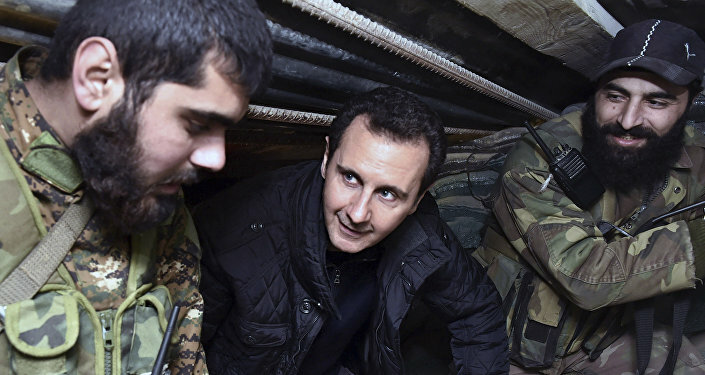 The Syrian Foreign Ministry described the missile attack as a hostile move which "will only lead to inflaming tensions in the world and threatens international security." Russian President Vladimir Putin called the airstrikes an act of aggression against a sovereign state. After US Missile Strikes in Syria, Is Anyone Safer?